Being outdoors in the heat brings with it the risk of two different hyperthermia-related injuries, heat exhaustion and heat stroke . Heat exhaustion is the lesser of the two injuries with heat stroke being a life-threatening event that needs immediate medical attention. Heat exhaustion is a condition that involves heavy sweating with a rapid pulse. High temperatures combined with high humidity and strenuous activity is one of the main ways that someone can get heat exhaustion. 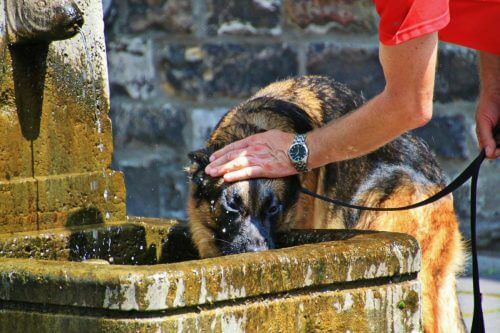 While heat exhaustion is not life-threatening, it is a precursor to heat stroke which is life-threatening. When the body fails to cool itself through the evaporation of sweat, you become at risk for contracting heat exhaustion. Dehydration, alcohol use, and being overdressed are also possible causes of heat exhaustion. 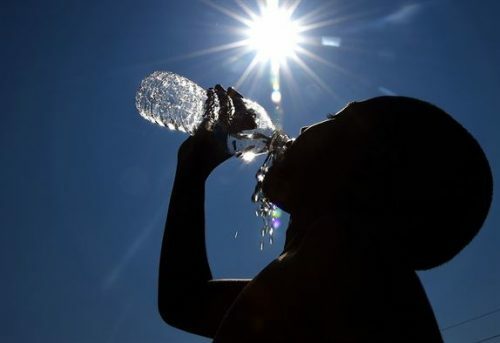 Age: Children under 4 years old and adults over 65 are much more likely to contract heat-related illnesses. Obesity: Excess fat can cause the body to strain more during active periods and causes the body to retain more heat. Climatization: If you are not used to the temperature you should avoid heavy work until you’re more used to it. Suddenly jumping into strenuous activity in the heat can make you more likely to get heat exhaustion. Certain Drugs: Some drugs (both over the counter and prescribed) can cause the body to dehydrate much faster, increase core temperature or both. Heat Index: High temperatures with high humidity make it very hard for your body to cool itself. The warning signs of heat exhaustion can present themselves over time or all at once. 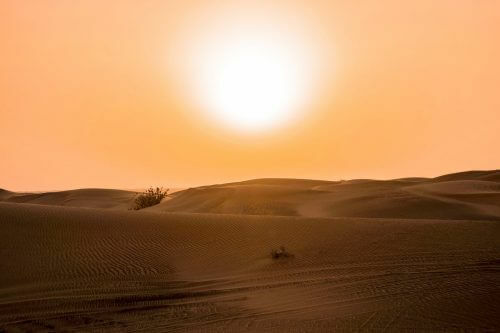 Prolonged episodes of physical exertion can increase the risk of heat exhaustion. Wear loose, light clothing: This allows your body to cool properly. Drink Plenty of Liquids: Stay hydrated to keep heat-related injuries at bay and help your body cool itself. Prevent Sunburn: Wearing SPF 15 or higher sunscreen is a good idea. A better idea is to wear loose clothing that covers most of the body. If you get sunburnt, you’ll find it much harder to stay cool. Get Acclimated: Getting used to the heat will make it much easier for your body to cool itself. Rest During the Hottest part of the Day: Avoid working in the sun during the hottest hours. 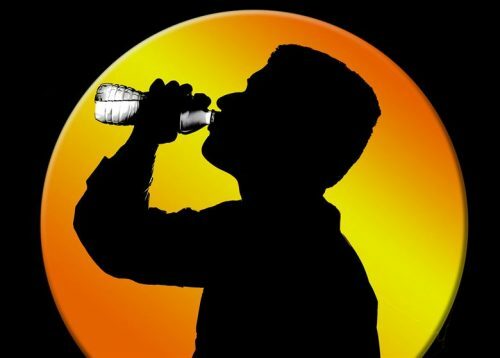 Many societies that have to deal with high midday heat work early in the morning and again in the evening. 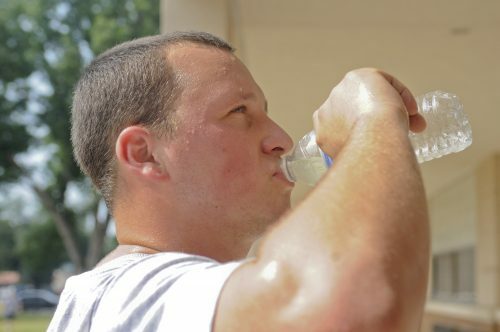 Be Careful if You’re at Risk: If you’re in one of the categories that have an added chance of becoming a heat injury victim, or you’ve been a heat injury victim in the past, you should take it easy in the heat if at all possible. Rest in a Cool Place: If you can get into air conditioning then you should. Otherwise, seek shade and have someone fan you if you’re not alone. Lay on your back with your leg above your heart. Loosen Clothing: Take off clothing that isn’t needed and loosen whatever clothing you can. Try Cooling Measures: Soak in a cool pond or stream, take a cool shower or bath if you can. If these aren’t an option, you can wet your head and neck and fan yourself to help cool down. If ice is available you can place ice packs in your groin, under your arms and against your neck (all of the major arteries) to begin bringing down your core temperature. Drink Fluids: Try to drink something like Gatorade if you have it available. If not, cool water works the best to cool you and rehydrate you. Heat stroke is a condition that occurs when your body overheats and your core temp rises to 104 degrees Fahrenheit or higher. It’s usually associated with major exertion in high temperatures and follows heat exhaustion when it goes untreated or unrecognized. Heat stroke is a serious medical emergency and requires immediate medical care. Failure to lower your core temp with quickly lead to damage to the brain, kidneys, muscles, and heart. Heat stroke is caused by the same factors that lead to heat exhaustion. As you continue your exposure to high heat or continue to strain yourself, your core temperature will continue to increase. Nonexertional heat stroke. This type of heat stroke is caused by simply being in a hot environment which leads to a rise in core body temperature. Nonexertional heat stroke typically occurs after exposure to hot, humid weather, for prolonged periods. It is most common in those with illnesses or adults over 65. Exertional heat stroke. This type of heat stroke is caused by an increase in core body temperature brought on by intense activity in hot weather. If you’re working in extreme heat can find themselves succumbing to exertional heat stroke. It’s most likely to occur if you’re not used to high temperatures. Wearing excess clothing will cause the body to retain heat and make it more likely to overheat. Drinking alcohol both dehydrates the body and also hinders its ability to regulate heat. Dehydration will also limit your body’s ability to regulate heat. The risk factors for heat stroke are very similar to heat exhaustion. Age: The body’s ability to cool itself relies on the strength of your central nervous system. In the young and very old the nervous system is not able to react as efficiently as it needs to cool the body. The young and old are also more likely to become dehydrated. Overexertion in hot weather: Strenuous work or exercises in hot weather will make you more likely to contract heat-related illnesses. A lack of climate controls: Air conditioning is the best way to counter heat-related illnesses. Fans work to a degree but they aren’t nearly as effective. Sudden heat exposure: If there is a sudden heat wave, you should limit strenuous activity for a few days. Your body won’t be completely climatized until several weeks have passed. Certain medications: Prescription and over the counter medications can cause the body to react differently to heat. Stimulants like weight loss pills and attention deficit disorder medication dehydrate the body. Performance enhancing drugs also cause problems. Be sure to know what you’re taking and follow and warnings. Certain health conditions. Chronic illnesses, such as heart or lung disease, can also increase your risk of heatstroke. Obesity, being sedentary and having a history of prior heatstroke also increase your risk. Altered mental state: Confusion, agitation, slurred speech, irritability, delirium, seizures, and coma can all result from heatstroke. Changes in Sweating: Your skin will feel hot and dry to the touch in heat stroke brought on by heat. In heatstroke brought on by strenuous exercise, your skin can feel dry or slightly moist. Headache: Your head may throb or hurt. Nausea and Vomiting: You may feel sick to your stomach or begin vomiting. Flushed Skin: Your skin may turn more and more red as your body temperature increases. Racing Heart Rate: Your pulse may increase due to the stress but on the body when it is trying to cool itself. Wear loose-fitting, lightweight clothing: Tight or heavy clothing greatly increases the body’s heat retention. Prevent sunburn: Sunburn limits the body’s ability to cool itself. Wear clothing that covers the skin and sunscreen with an SPF of at least 15. If you’re sweating or swimming you should reapply the sunscreen periodically. Drink plenty of fluids: Staying hydrated will help your body keep its temperature. Be sure to become as acclimated to the heat as possible: When you are acclimated to the heat, you’re much less likely to fall victim to heat-related injuries. Home treatment isn’t enough to treat heatstroke. If you believe that you, or someone else, has heat stroke, seek immediate medical attention and try to cool them while you wait for medical personnel to arrive. Get them to shade or air-conditioning: If you don’t have air conditioning keep them calm and lay them on their backs with their legs above their heart in the shade. Cool off with damp sheets and a fan. Rehydrate by drinking plenty of fluids. Heat stroke treatment is focused on cooling your body to a normal temperature to reduce or prevent brain and organ damage. Immerse them in cold water: A bath of cold or ice water has been proved to be the most effective way of quickly lowering your core body temperature. The quicker you can receive cold water immersion, the less risk of death and organ damage. Use evaporation cooling: If you can’t take advantage of cold water immersion, you may try using an evaporation method. Cool water can be misted on their body while warm air is fanned over them. This evaporates the water and cools the body similar to sweating. Place ice packs around major arteries: Another method is to apply ice packs to the groin, neck, back and armpits to lower the core body temperature. Heat exhaustion and heat stroke are both very common injuries that can strike with little notice. When the temperatures are up, you really need to ensure that you’re getting enough water and resting when you need to. In a survival situation, it’s easy to get lost in what needs to be done and ignore your body. Heat exhaustion and heat stroke are VERY dangerous. Make sure you stay as hydrated as you can and keep an eye on those around you as well. You can find more medical and first aid articles here.